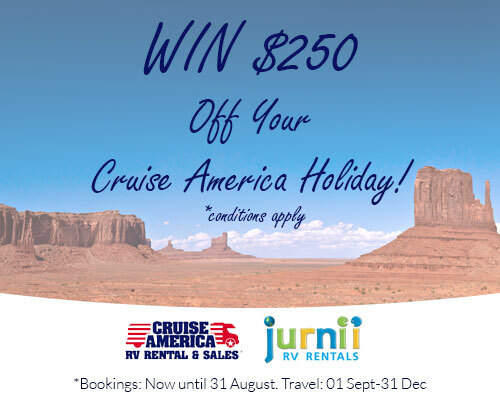 If you are considering RV hire in America for your next adventure, then consider hiring a Cruise America vehicle because you could win! Finalise your Cruise America Booking by the 31st of August, when travelling between 1st September and 31st of December and you will be automatically entered to win $250 off your holiday! Just think of all the BBQ ribs and Dr. Peppers you could buy with your savings! Don’t delay, check out the Cruise America RV’s today!